Unity 2D is the default fallback session from Ubuntu Oneiric 11.10 onwards. In Natty 11.04, you'd need to manually install the package 'unity-2d', available in the official repositories, as it doesn't come bundled with Natty. Unity 2D now almost resembles the regular Unity, just lacking a few eye-candy effects. 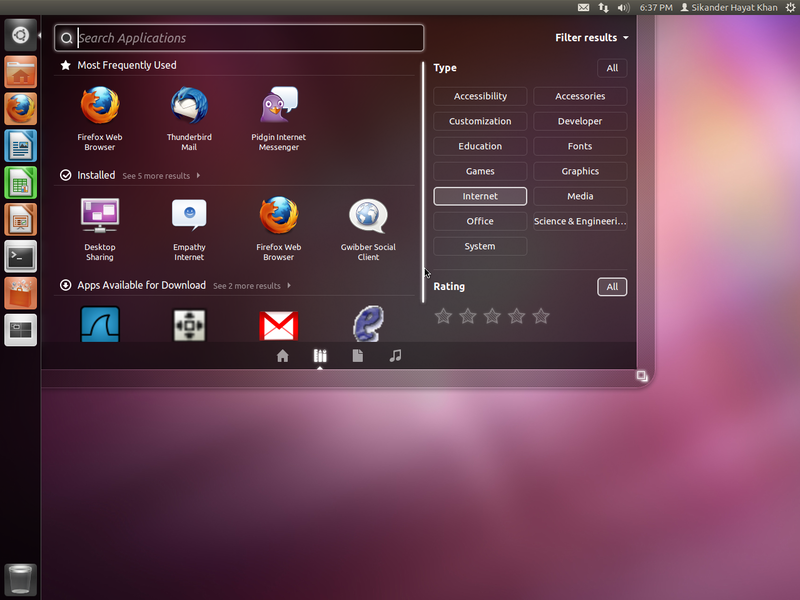 However, those can be added as well by running Unity 2D with Compiz instead of Metacity. You'd need a 3D-accelerated graphics card and proper drivers to enable Compiz in Unity 2D. Unity 2D is a lighter version, in fact just a QT application in contrast to the regular Unity, which runs as a Compiz plugin. For older machines which are slow/lagging with Unity, Unity 2D is a blessing. Unity itself can't be customized to an extreme level as used to be the case with Gnome 2.x, and it is even worse with Unity 2D, which still lacks some of the few options that are available for Unity. Anyway, there are a few methods of tweaking the Launcher, icons, etc., so we'll discuss those. 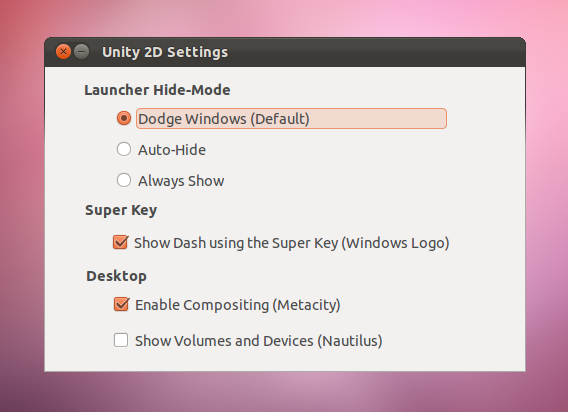 At the time of the release of Natty Narwhal, Mariano Chavero has developed a simple GUI for changing the few available settings of Unity 2D, as well as some other desktop features. These settings could also be changed via GConf-Editor in Natty, or via DConf-Editor in Oneiric. But, you might guess it already :P , it's way easier to do that via a simple, dedicated GUI. To rearrange the application launchers in the Launcher, click and hold down the left mouse button for ca. 1 second at whichever launcher you want to re-locate. You'd notice that the icon would separate itself from the Launcher after that time, and then you can drag it to your desired location in the Launcher (within the area designated for application launchers). All of the tweaks outlined below are system-wide, and require a restart of the Launcher to take effect. Obviously, it's a good idea to back up the concerning default system files before tinkering with them! Some of the tweaks were sourced from here. Notes: These tweaks are based on Oneiric's version of Unity 2D, so some of them don't fully or at all apply to Natty's version. Also, your changes will be reverted when the concerning packages are updated! If you want to get rid of or re-locate a static Launcher item (not an application launcher), you need to edit the 'Launcher.qml' under the '/usr/share/unity-2d' directory. But before, back it up as described above. 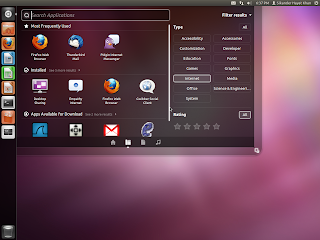 Remove the any of those lines to remove its corresponding Launcher item. You can also rearrange those lines to rearrange the corresponding Launcher items. Notice that items specified as 'shelfItems' will always end up at the bottom of the Launcher, with the leading space you know from the Trash Icon. But you can also simply specify all items as 'items', thus lining them all up in a row, without any spaces! To change the background color or opacity (transparency) of the Launcher background, you need to edit the 'Launcher.qml' under the '/usr/share/unity-2d' directory. But before, back it up as described above. For 'color', you can use color names or hex values, formatted like "#00000", for example. To disable the backlight of the Launcher items, you need to edit the 'LauncherItem.qml' under the '/usr/share/unity-2d' directory. But before, back it up as described above. To decrease or increase the width of the Launcher border, you need to edit the 'Launcher.qml' under the '/usr/share/unity-2d' directory. But before, back it up as described above.